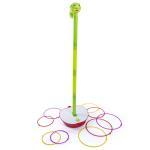 CAN YOU HOOP THE LOOPY WORM? 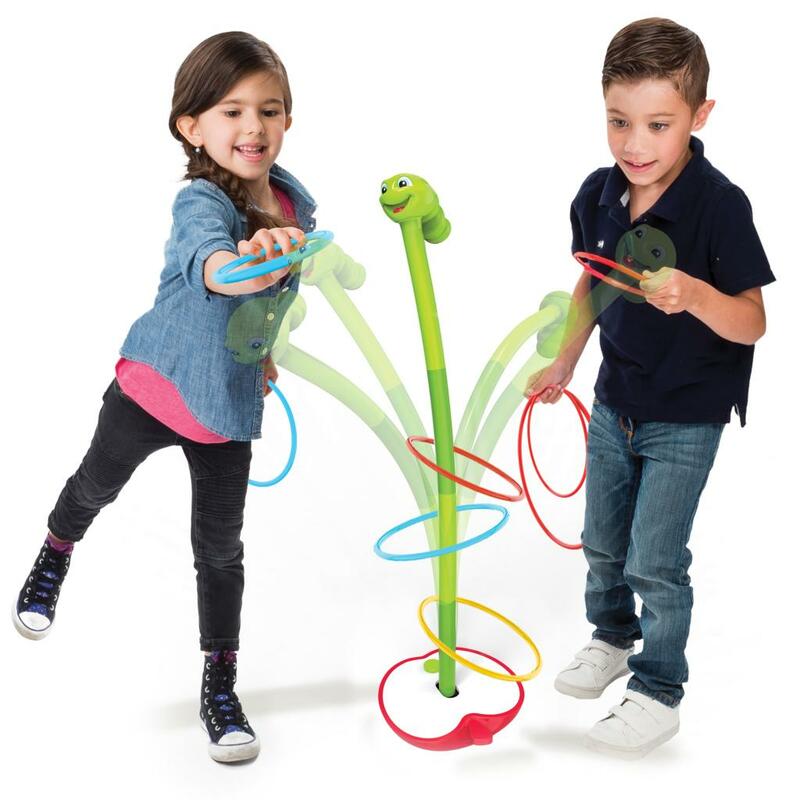 Try to hoop the loopy worm with all your rings to win. 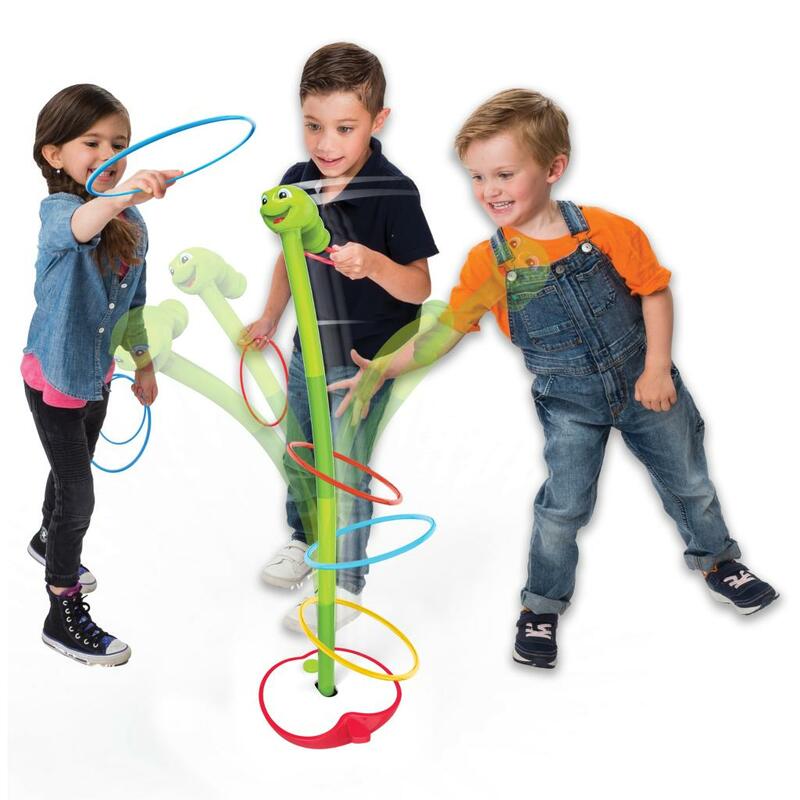 It’s twisting, turning fun! 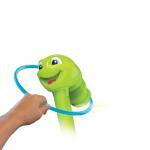 Try to hoop the loopy worm with all your rings to win. 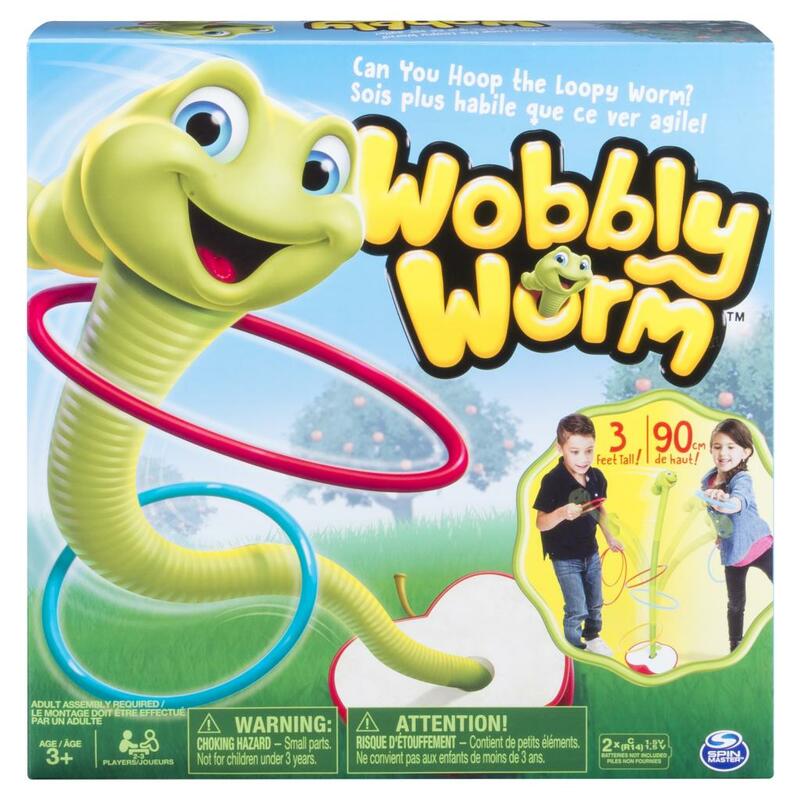 Wobbly Worm grows with you! 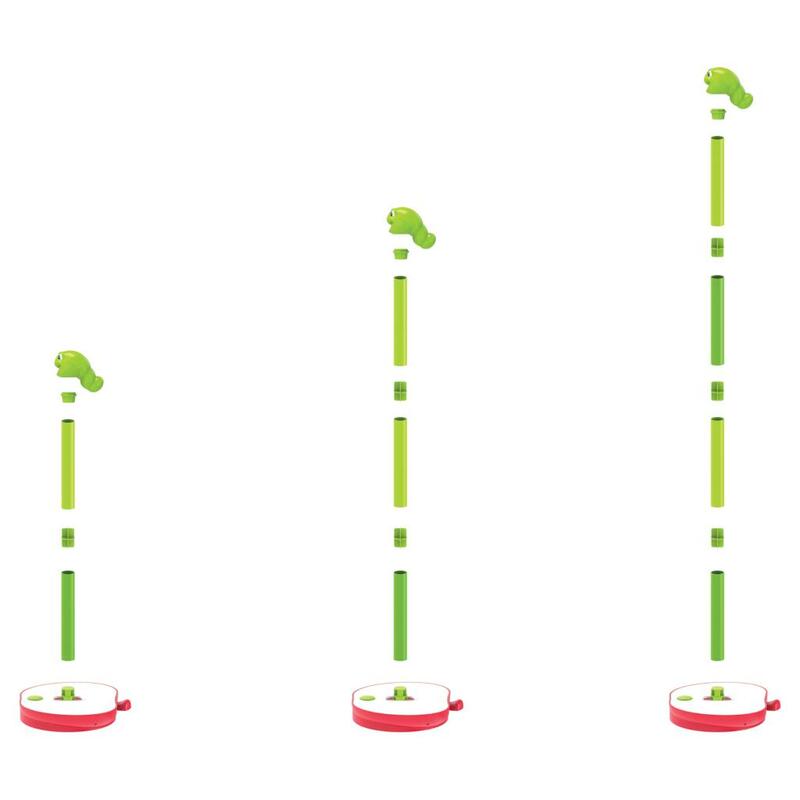 Add segments for more motion as you get older. 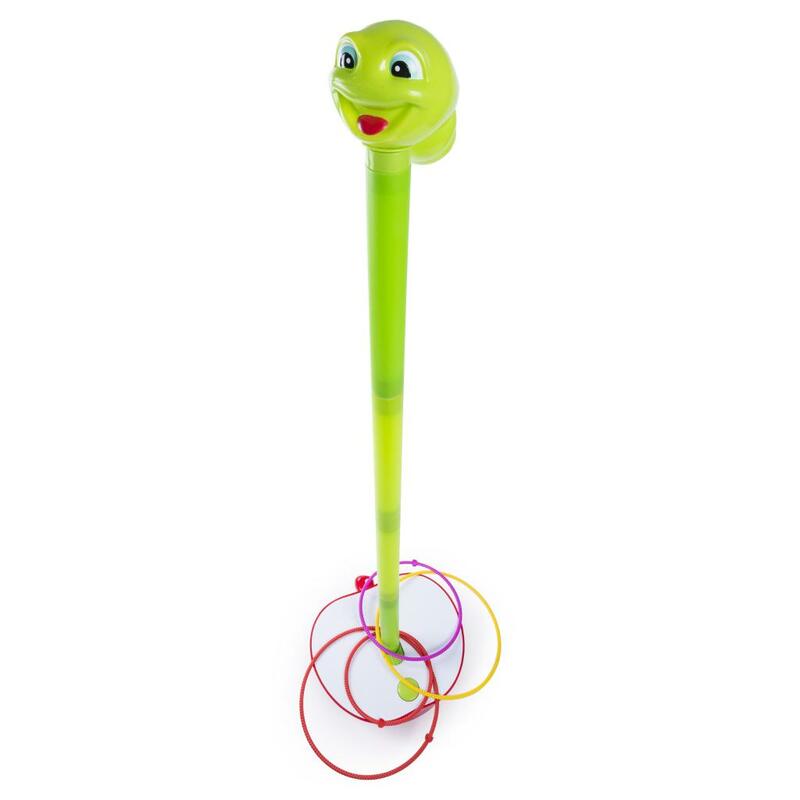 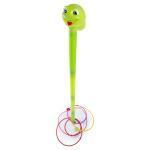 Wobbly Worm stands 3 feet tall at its tallest! 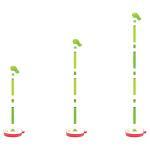 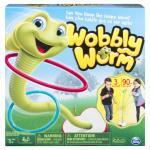 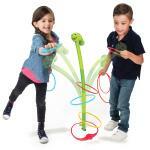 Wobbly Worm is for 2-3 players ages 3+ and requires 2 C batteries (not included).